Skaters out there, if you think you are good enough to skate with the top amateur skaters of the world then get over to Deventer, Holland on July 15th. All you have to do is make the best trick to win a wildcard for the AmsterdamnAm contest which is taking place during the following weekend. The Burnside park is celebrating its 10th anniversary that Tuesday and opens at 10.00. 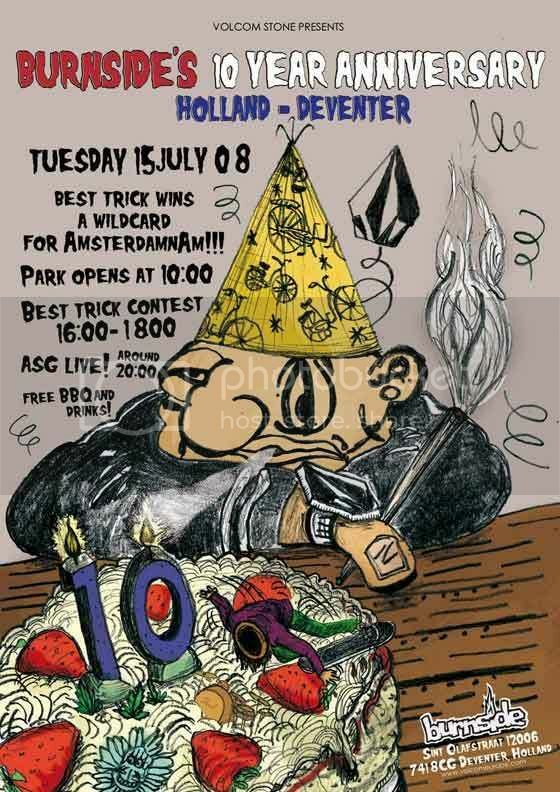 The Best Trick contest will take place at 16:00 and goes on till 18:00. Starting at eight in the evening there’s a live band as well and free barbecue. So even if your not the contest type, there’s enough fun times waiting for you as well. Powered by skateboarding since 2004 | Hamburg Hell 2019 info!